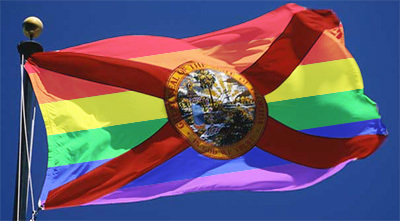 SAVE congratulates the six Florida couples that have decided to take a courageous stand in court to bring marriage equality to the Sunshine State. We remain committed to achieving equality for South Florida’s LGBT community, and we will closely monitor developments surrounding this litigation as they unfold. We stand with the plaintiffs and their legal teams and wish them the best in their endeavors. The results of the 2014 election cycle will prove pivotal to the outcome of this litigation. This year, SAVE will continue to do its part in South Florida by helping to elect a pro-equality governor and attorney general who will potentially be closely involved in selecting judges who will hear this case. SAVE will also continue to work to elect a slate of pro-equality officials, like our own local State Representative David Richardson, who make sure LGBT perspectives are considered in Tallahassee, in county and city halls, and before state courts. Help elect leaders who will make marriage equality a reality. For complete coverage of this story, click here.